The winds and rains produced in a hurricane have the potential to do massive destruction in just a few hours. Even though we typically have a couple days’ notice on their impending arrival, the force can still take us by surprise. Cities, towns, college campuses, schools, homeowners, and anyone else living at risk of a hurricane need to have a decisive plan in place for dealing with this type of storm. 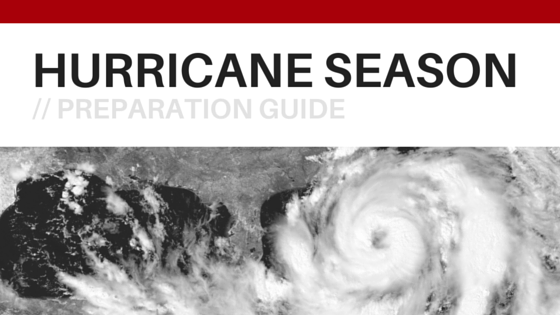 Your first step in preparing for hurricane season lies in knowing what you are dealing with. Forecasters may be talking about an approaching storm for days, but you won’t be able to properly prepare yourself, school, or town unless you know what they are referring to. Tropical Depression – A tropical depression is a low pressure area with thunderstorms. These storms have winds of up to 39 miles per hour and are first spotted out in the ocean. Weather forecasters analyze these for their potential to turn into something greater. Tropical depressions that make landfall are intense storms, but in most cases won’t cause considerable damage. Tropical Storms – A tropical storm has variable speeds ranging from 39 to 73 miles per hour. Hurricanes – When a forecast is calling for a hurricane, you should expect winds starting at 74 miles per hour. Not only will this cause immense damage, there is also the threat of flooding and storm surges. Tropical Storm Watch – Conditions exist that make it possible there will be a tropical storm in the area. Hurricane Watch – There is the likelihood of a hurricane in the area. This watch is almost always issued 48 hours before the expected start of winds that have tropical storm force. Tropical Storm Warning – You can expect a tropical storm. Hurricane Warning – These are issued 36 hours before the expected onset of tropical force winds and indicate a high possibility of a hurricane in the area. Eye – The center of the storm where the weather conditions are calmer. Eye Wall – This is the area surrounding the eye of the storm and where you will find the most severe weather conditions. Rain Bands – Rain bands are defined as bands which come off of the cyclone and produce their own waves of heavy rain and high winds. Storm Surge – As a tropical storm or hurricane makes landfall, the ocean swells, causing large waves to crash down on the affected beaches. This can cause coastal flooding and in some cases even flooding further inland. At Which Point Do You Start Making Emergency Preparations? 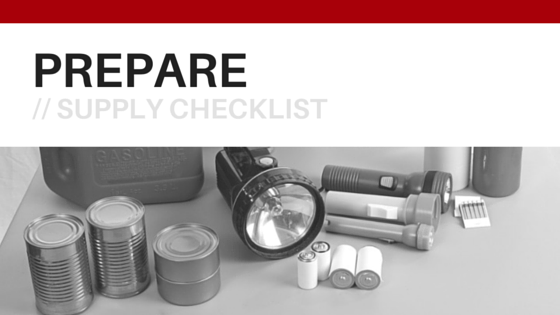 During the watch period of an incoming tropical storm or hurricane, you should be making basic preparations. Homeowners should clear their yards of any loose items, and stock up on canned food and water. Emergency officials and school administrators should use their emergency notification system at this point to ensure that everyone under their watch is aware of the possible threat. Use the SMS text messaging feature to alert the population of your town or college about the storm, advising them to buy provisions and stay connected for further updates. If weather analysts issue a hurricane warning, you need to stay abreast of what local officials are advising, and relay that information to as many individuals as possible. Again, emergency notifications will be invaluable if you are responsible for the safety of college students or residents. If an evacuation plan has been initiated, you can use your emergency notification system to relay information about local shelters and best routes out of harm’s way. 3 days’ worth of water. Don’t forget to include all of your family members and any pets when calculating how much bottled water you will need. Non-perishable food to last for 3 days. Like with water you want to take into account all family members and pets. You may be left without electricity so don’t rely on any items that will need microwaving. Bread, peanut butter, and canned foods are all good to have on hand. A cooler and bags of ice for keeping some necessities fresh, such as milk if you have a baby in the house. If you have enough warning, consider freezing water and juice before the storm hits. This way if the power does go out, you have additional cooling agents to keep other food cold, and a cold drink when you need one. Matches or a lighter and candles. Flashlights and plenty of batteries. A solar charger for your cellular phone. You will want this in order to receive important updates about the storm from emergency officials using emergency notifications. Before the storm hits, you should make sure that all cell phones are fully charged as well as any backup batteries you have. A battery operated radio with extra batteries. A water tight container to hold your identification documents, other important papers and medications. Turn your refrigerator to its coldest setting about six hours before you expect a hurricane to hit, and then only open the door sparingly. This will help to preserve whatever food you do have inside for as long as possible if the electricity does go out. Individuals living in hurricane zones should be on alert as early as the first of June. Keep the gutters on your home or business clear of all debris, and install special shields that don’t allow for twigs or leaves to enter. Large trees close to your premises should be cut back to prevent large limbs from falling onto your rooftop. If your property contains any large, old trees that pose a threat, have them removed entirely. For town officials and college administrators, you have to consider the safety of a multitude of individuals during a hurricane emergency. 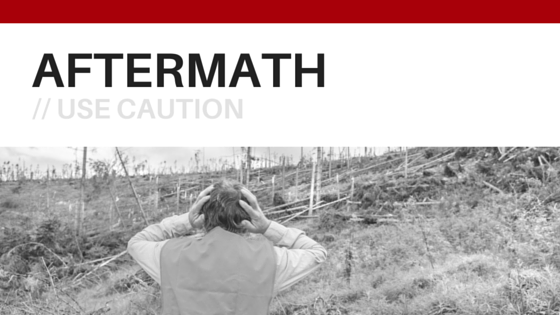 Make evacuation routes clear, keep the population informed about nearby emergency shelters, and learn how to set up an emergency notification system. A modern voice broadcasting system allows you to communicate quickly with thousands of people at the same time. Messages about incoming hurricanes, safety tips and evacuation plans can be received in either voice or SMS text format. 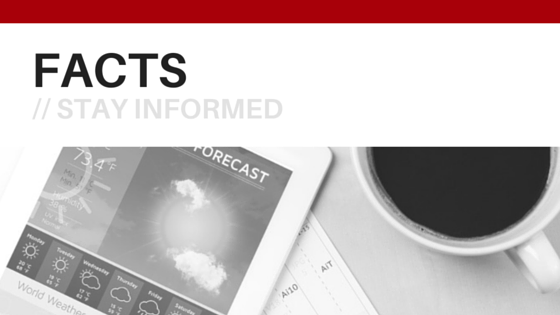 This system not only allows you to warn of impending threats, it will let you continue to provide information and support in the days following a hurricane. Being inside of a hurricane is an odd sensation. First there is the build-up towards the storm, which leads way to torrential rains and high winds that can be strong enough to lift furniture off of your patio. In the midst of all this chaos there might be a small pause and then it picks up right where that chaos left off before slowly dwindling down as it moves on. Keep in mind that the momentary calm in the middle of the storm is fleeting, and not the time to take a trip to the beach to see how high the waves are. Once emergency officials have declared that the threat is over, you need to take caution when leaving your home. Downed trees and power lines can still pose a risk, along with pools of water left over from flooding. Survey your own property carefully, and alert authorities immediately if you note any power lines that have been damaged. Take pictures of any damage for your insurance company, and then prevent any further damage by covering holes in the roof, etc. If you were evacuated from your home, it is important that you do not return until the authorities have deemed it safe. The longer you can stay home the better, as roadways may be blocked by fallen trees, branches and flooding. Pools of water could be electrically charged or have large debris hiding inside, making them potentially dangerous. Wait until you are given an all clear by local officials before taking any chances. If you absolutely have to make a trip to a local store, drive slowly and be on the lookout for puddles of water, road crews and utility workers on the side of the road. As we know from recent history, hurricanes have the potential to be devastating, especially when you are not prepared. If you have the responsibility of seeing to the health and safety of others, be proactive and take advantage of modern emergency notification systems to keep them out of harm’s way. Individuals need to pay close attention to what the news and authorities are telling them, and be prepared for the worst case scenario.